The half-inch map was published from 1903. After 1947 a National, or 'Second Series' was planned but only four of 51 sheets were published. The series was abandoned due to competition from private map publishers and the resources needed for other small scale mapping, especially the one-inch series. 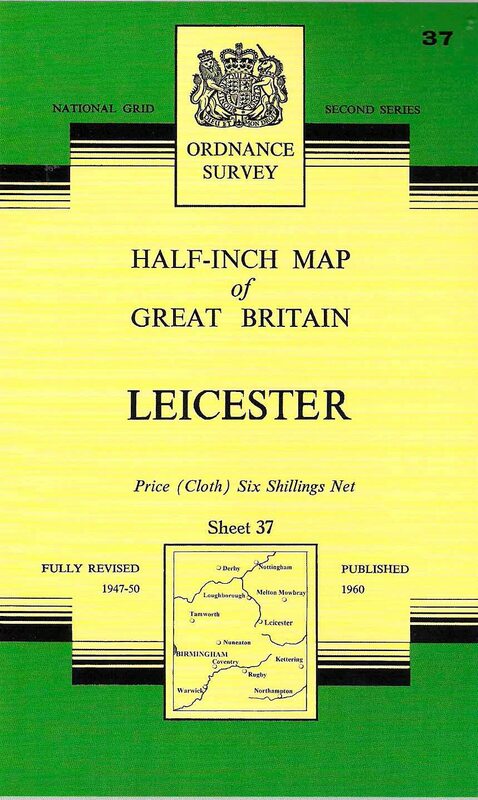 PLEASE NOTE I have the occasional enquiry through these pages about whether I buy and sell maps. I'm not a map dealer but here to compile and revise lists of Ordnance Survey small scale maps. If you are looking for a trader, I recommend you start with the Charles Close Society list of map dealers here. revised 1956: A - outline (5/57). 1. Proof copies are recorded. Sheet 28 Second Series Snowdon revised 1948-9: A (2/61). Sheet 36 Second Series Birmingham revised 1958: A (12/58); A/ (__/__); A/ - outline (__/__). 1. Proof dated 22/7/1962. 2. Proof with Outline Edition heading. Sheet 39 Second Series Norwich revised 1961: A (9/61). revised 1962: A - outline (5/63). No further sheets were published in this series. The author - Leslie (Lez) V Watson - has asserted his right under the Copyright, Designs and Patents Act, 1988, to be identified as the author of this work. I use Notepad++ script editor and Firefox web browser.